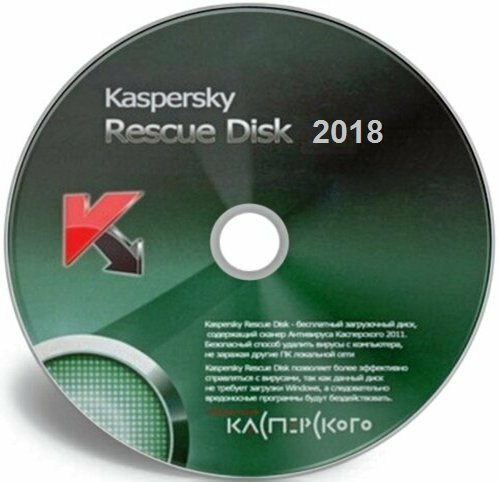 Kaspersky Rescue Disk 2018 is a free tool for scanning and disinfecting the operating systems that cannot be accessed directly due to infection. It includes Kaspersky Rescue Tool, the tool which implements scanning and disinfection of operating systems. • Support of latest hardware. • Support of UEFI SecureBoot. • Scanning of all detected operating systems. • Use of Kaspersky Security Network. • Detection of Adware and Riskware. • Notifications about obsolete antivirus databases. • Protection against system files deletion. • Prevention of false detections. • File backup before disinfection and removal. • Just one type of scan. You no longer need to select the most suitable type. • Scanning and disinfection of the operating systems which are switched off. • Booting from the USB drive or CD/DVD. • Microsoft Windows deep scan. • Microsoft Windows registry editor.